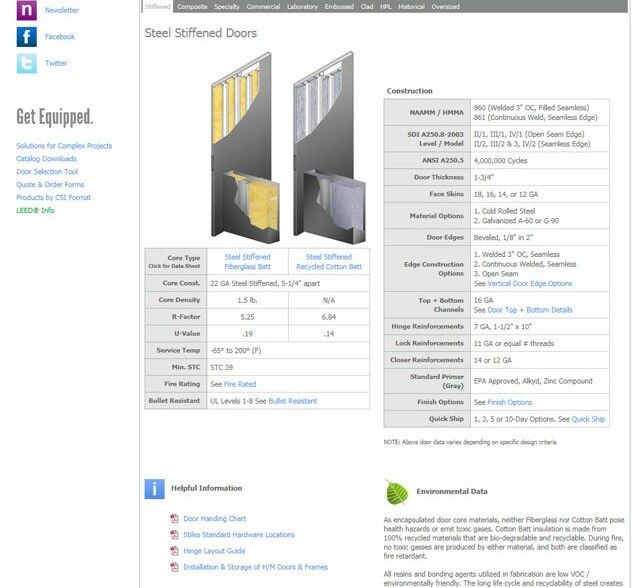 When Stiles approached us, they had a website that consisted mainly of hard to find PDF files. 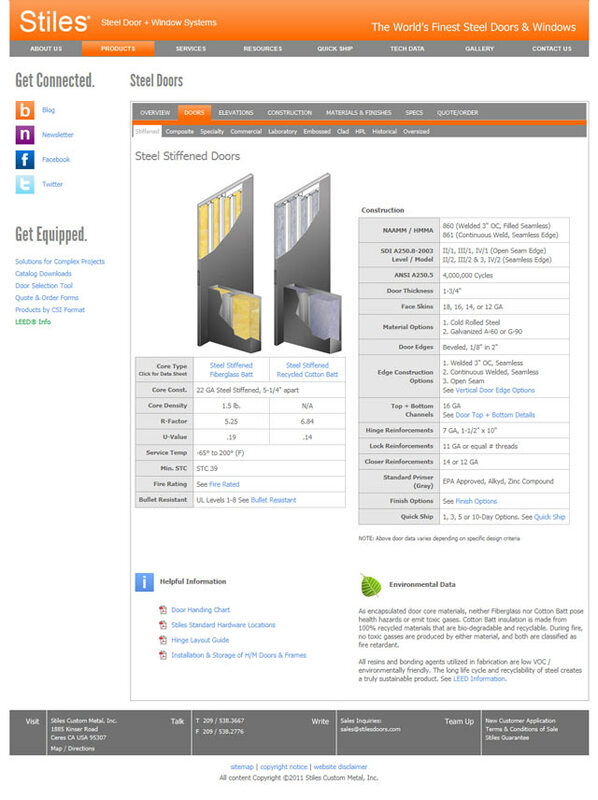 They had way too much content for the design, and like most door companies out there, their site was extremely frustrating to navigate. After getting to know Stiles, their products & their competition we found that they were miles ahead of their competition in terms of quality and customer service — and they deserved a website that reflected this. We took their 300+ pages of content and made it so that nothing on the website is ever more than 3 clicks away. It is lightning fast, and a breeze to use. They also needed to move up in the search engines, so we took them from page 15 all the way to page one, and even position #1 for some of their keywords. It may sound a little canned, but below is a genuine unsolicited quote from a Stiles customer, who was ecstatic enough about the new site to tell Stiles thank you — and he was only one of many. Clearly the door industry was in need of an easy to use website, and Stiles is now that place. 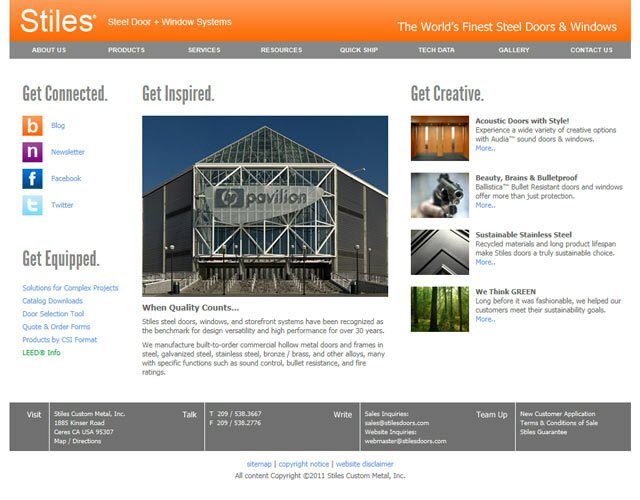 Client: Stiles Custom Metal, Inc.